Is too much time being spent searching for, accessing, editing, and combining documents and information between you and multiple co-workers? Managing information is not simply a matter of storing it so that it can be accessed when needed. The information stored in various documents often requires the ability to be searched, indexed, and retrieved efficiently. Without a clear strategy for simplifying document storage and retrieval, users may be wasting their most valuable resource—time. Information Management and Workflow Solutions from Canon offer powerful, end-to-end solutions that help not only to retrieve information quickly, but also to organize and streamline the content management process. This offers several key benefits for your business. Information that’s set up in, and routed to, a secure database can make the search and retrieval process faster, helping to reduce the unnecessary time spent gathering information. Digitized information can be queried and monitored to help spot data trends quickly. 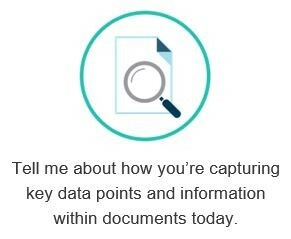 Users can be enabled and empowered to access data directly, instead of needing to initiate a request to another employee to provide information.